Today we would like to introduce you to Punt Mobles, a renown company from Valencia that offers high quality contemporary furniture. A year and a half ago, thanks to some friend from Oliva, I had the good fortune of meeting Vicent Martínez . 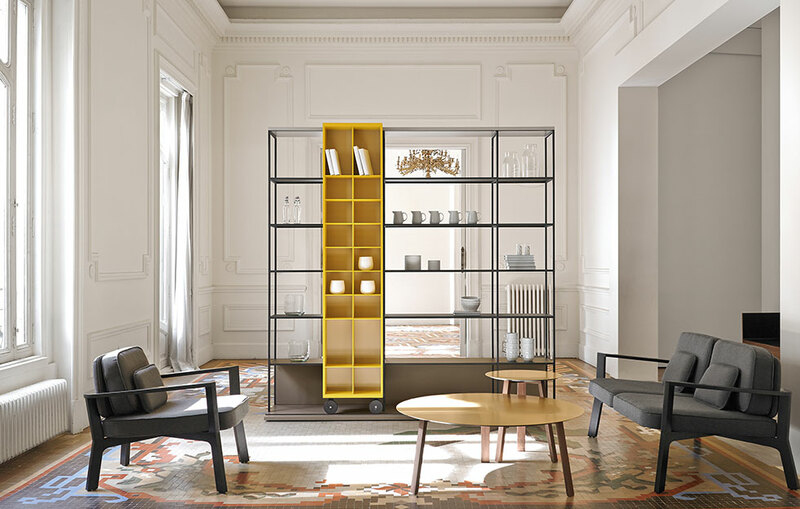 Vicent Martínez is the founder of Punt Mobles and the author of the furniture design icon "La Literatura", a double shelf unit on wheels. 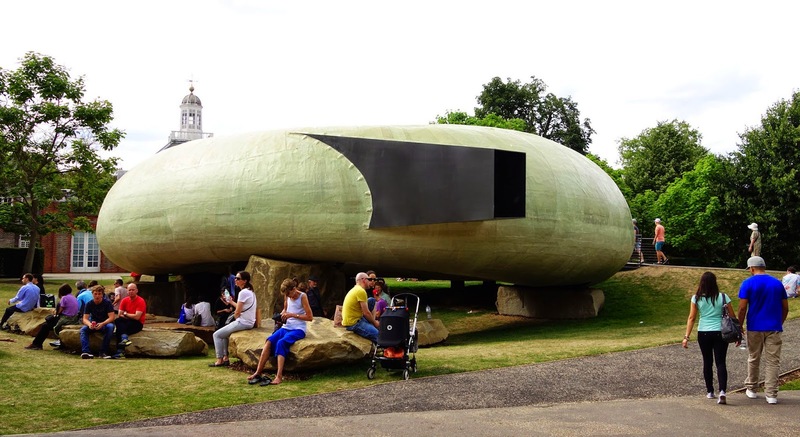 I have been visiting the Serpentine Gallery Pavilion every summer since 2007. This year is the 14th year that a renown architect that hasn't built yet a building in the UK is commissioned to design a temporary pavilion in Hyde Park, next to the Serpentine Gallery. This year's pavilion will be open until the 19th October. If you haven't visited it yet and would like to see it, I would recommend you to go before the 25th August so you can enjoy the Marina Abramovic performance for the same price. Setting out the walls. The U House is taking shape. Storage is an increasingly important part of our homes and most of the time we are lacking space to store all of our belongings. Which are the things that we want to store in our bathrooms? Which are the things that we want to display and use as decorative elements in our bathroom and which are the things that we want to hide? These are questions that we may ask to ourselves in order to make sure that the design of our bathroom will take into account our requirements. In order to display some things and hide others, we need furniture with doors and shelves to display decorative elements such as plants or bath salts that will give a bit of color to the space. With this post we want to open a new section of the blog where we will be giving you some tips and ideas for your projects. Today we will talk about decorative tiles: an old fashion that is coming back. We can find this type of tiles at different prices and used in different ways giving a touch of colour to our homes. In this project Foreign Bear Studio uses hydraulic cement tiles to mark out spaces. On the left image the tiles are defining a semi-exterior space connected to the courtyard and on the right image the tiles mark out the dinning area like a rug would do. In both cases the cement tiles are combined with concrete flooring. Mosaic del Sur not only offers a great variety of patterns but they also offer the possibility to design your own mosaics and they will manufacture them in 3 to 5 weeks. These tiles are made in Spain, a country with long tradition in manufacturing this type of tiles. The construction of Casa U continues at a good pace. In this picture you can see the garage which is almost finished and how the foundations are laid for the rest of the house. 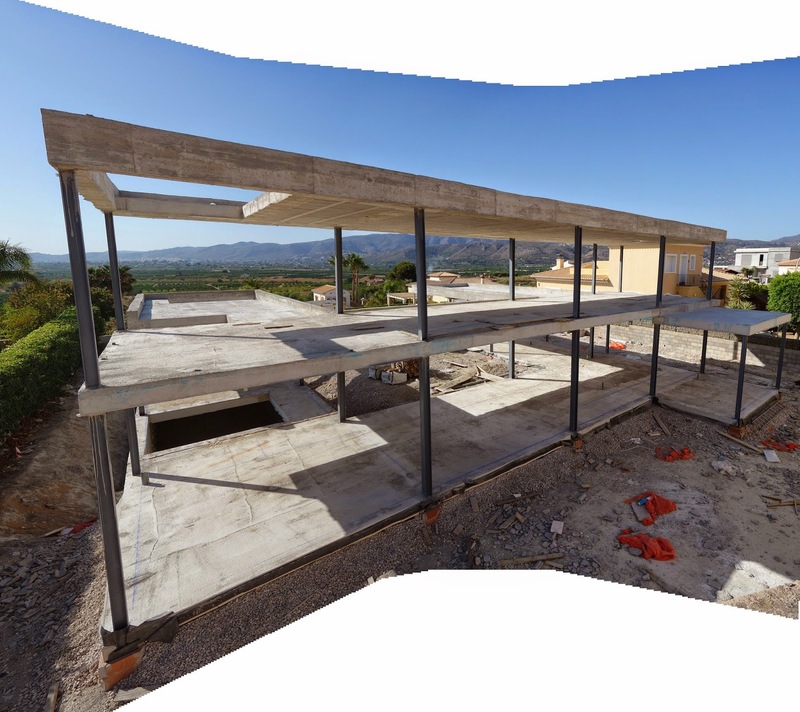 A while ago we announced that alambiLAB would be the architectural practice to design the new extension of the Cultural Centre in Pedreguer. Today we would like to show you and image that suggests how this extension is going to be. This is a humble project that will not only provide the Cultural Centre with an extra classroom and some storage space but it will create a small public space to carry out some of the activities of the Cultural Centre. We are providing the town with a different classroom that will allow the contact with the outdoors. The storage area will have a U-glass cladding that will work as a lantern and will light up the square at night. With the new extension and public space we hope to reinvigorate this forgotten space in town.